There is no better way to feel our culture than through our tradition night. The whole camp sits down together in the center of camp weekly to have a night of fun, laughs, and of course tradition. Our evening is spent watching performances by fellow campers, dance parties, and ice cream sundaes. Once the sun sets we reflect on the week that has passed with our weekly video (including some original flicks by our campers!) and end the night arms linked, signing our Camp Tioga Traditional song and enjoying fireworks. 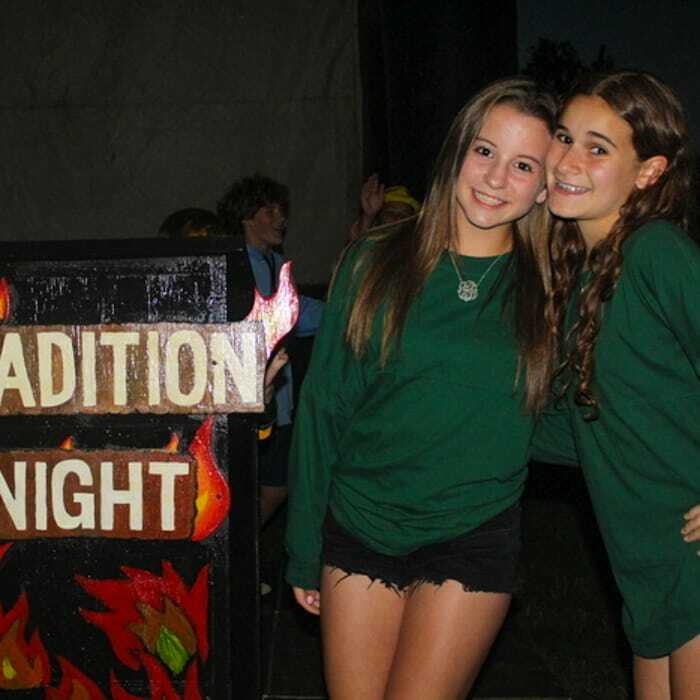 From our youngest campers to our oldest CITs, our whole camp is engaged start to finish, and looks forward to Tradition Night all week! Nothing shows the spirit of Camp like Color War. 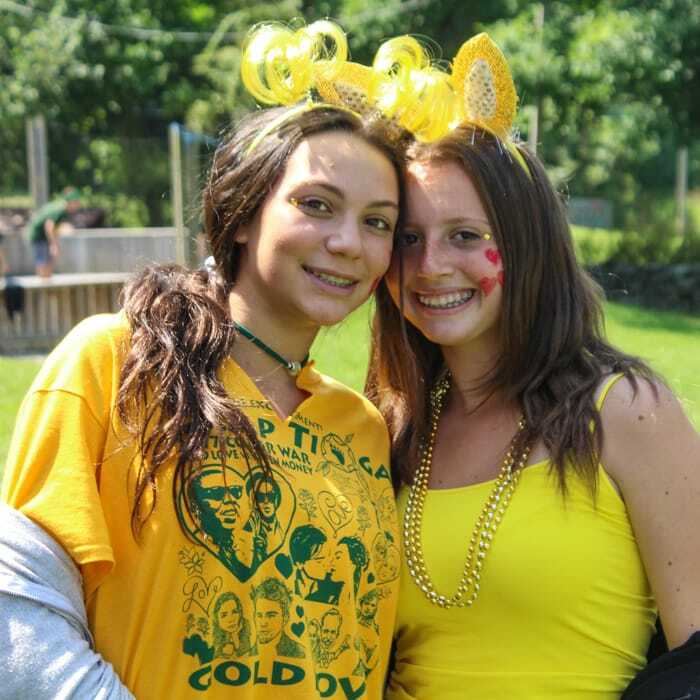 A 4 day event with all of Camp showing their green and gold spirit. Our campers and counselors grow together during this time participating in classic camp events like the apache relay, boat races, rope burn, along with sports and arts competitions. Tioga Color War is a testament to sportsmanship, camaraderie, and of course, having fun! It all culminates together for sing, the loudest, proudest event of the summer! A perfect ending to so many Tioga nights, our Campfires have plenty of ‘smores, songs, and memories. 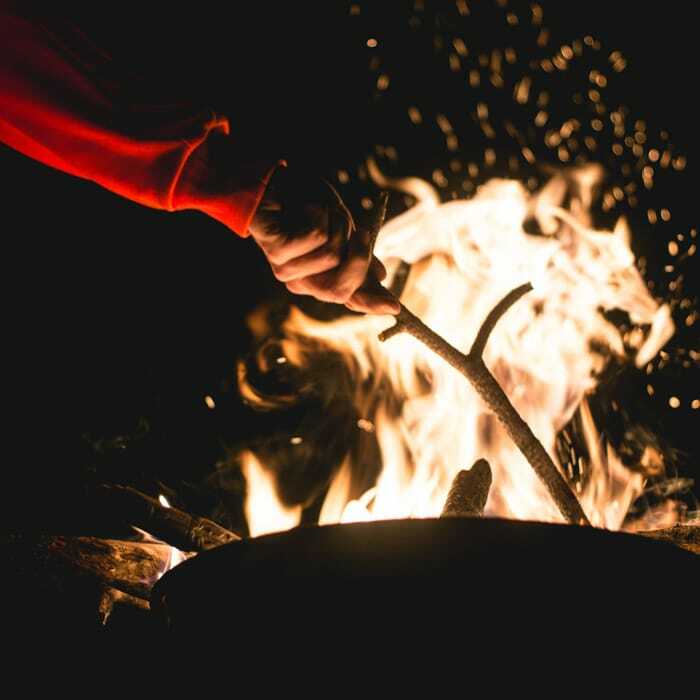 Each bunk has the opportunity for several campfires after evening activity throughout the summer, and they are always more memorable than the one before. It’s party time! 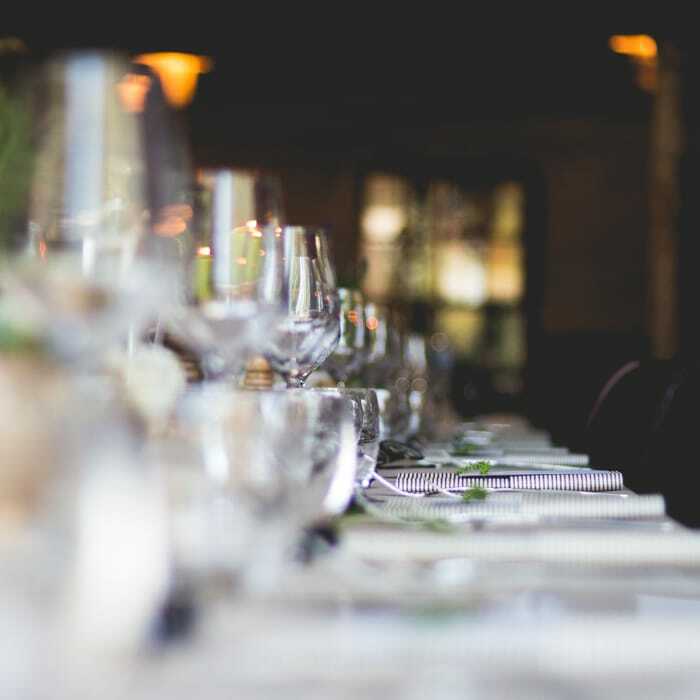 Everyone is dressed to impress and finds their way to the Dining Hall for an incredible Banquet meal. After dining its time to dance! Our favorite DJ blasts the music and we dance into the night, celebrating our friendships and memories from the summer! Expand your horizons with the Camp Tioga adventure program.